The Nintendo Switch’s March 3 release date is just one month away, but will the hybrid console’s lineup of launch titles be a problem? Nintendo president Tatsumi Kimishima has admitted that the ten games available when the Switch goes on sale may be perceived by some as weak, but it’s all part of the company’s long-term plans. "Some of those who have seen this lineup have expressed the opinion that the launch lineup is weak," Kimishima said during an earnings briefing this week, as reported by Gamespot. "Our thinking in arranging the 2017 software lineup is that it is important to continue to provide new titles regularly without long gaps. This encourages consumers to continue actively playing the system, maintains buzz, and spurs continued sales momentum for Nintendo Switch." Gameindustry.biz notes that this is the same strategy Nintendo used when the Wii U launched five years ago. “Nintendo tends to release too many titles at the launch of a hardware system and as a result suffers a drop in new games for quite some time after launch, and for the Wii U launch, we are being very careful not to let it happen,” said Nintendo’s president at the time, Satoru Iwata, said back in 2012. But the plan didn’t work out quite as Nintendo intended. Several of the Wii U’s launch titles were delayed, leading to Iwata apologizing for the game drought that some say contributed to the console’s poor sales. The Wii’s successor ended its global production run earlier this week. Kimishima said that there are more than 70 developers making 100 games for the Switch, so it shouldn’t suffer from a lack of content. 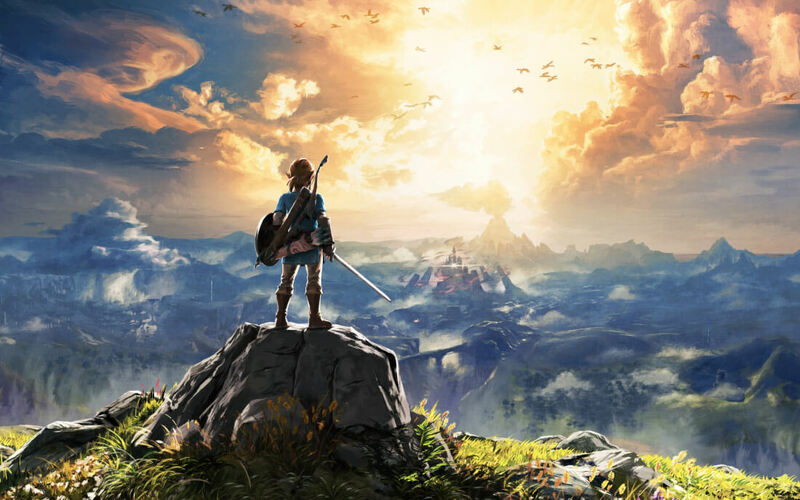 As for the launch lineup, Nintendo will no doubt hope that The Legend of Zelda: Breath of the Wild will convince people to buy the console on release day.